Voluntary associations have been presented as a solution to political apathy and cynicism towards representative democracy. The authors collected in this volume, however, argue that these claims require more robust substantiation and seek to critically examine the crucial link between the associative sector and the health of democracy. 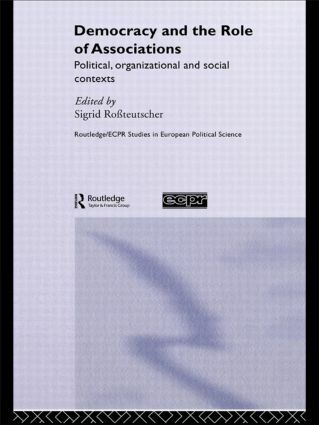 Focusing on the role of context and using diverse approaches and empirical material, they explore whether these associations in differing socio-political contexts actually undermine rather than reinvigorate democracy.